Rekey Locks Service in Chandler AZ | Get Your Locks Re-Keyed Today! 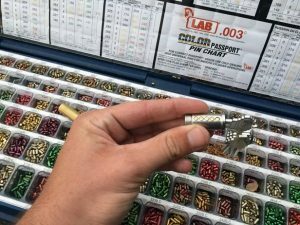 “Rekey” is the process of replacing certain pins inside the lock to a different set of pins, each key has a unique set of pins that match only this particular key. When a lock has been rekeyed, the old set of keys will no longer work. Do you need to rekey your locks? We can help! Our professional rekey team can rekey all types of residential and commercial locks. Locks Rekey Chandler AZ – Professional Service At Affordable Rates! The experienced mobile locksmith technicians at Chandler Locksmith 24 can handle all types of lock re-keying projects and will make sure the job gets done quickly and efficiently as possible. We will arrive at your location with all the parts, tools, and equipment we need to complete the job, and will always make sure everything is complete before we leave. We have extensive experience working with many types of locks and keys, and can rekey locks for your house, condo unit, apartment complex, security gates, office building, and other properties. Chandler Locksmith 24 offers some of the most competitive rates on rekey service in the area and you can always count on us for high-quality workmanship. 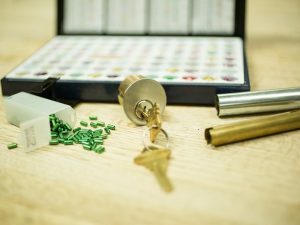 Don’t leave your rekeying job in the hands of a locksmith that only gets the job partially done or fails to provide the customer service you need! Chandler Locksmith 24 always delivers quality service and will take care of the job FAST! 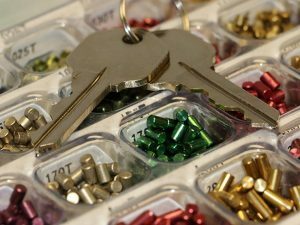 Chandler Locksmith 24 is your best choice for lock rekey service. We handle the following types of rekeying projects for customers in Chandler neighborhoods and the surrounding areas.